Toyota made an excellent start to the Dakar Rally, one of the most challenging races in the world, with the all legend olan pick-up model Hilux. 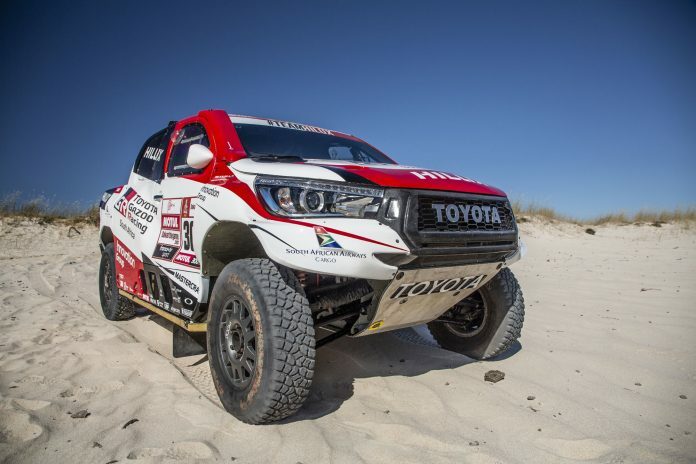 Al Attiyah and Mathieu Baumel, who competed with Hilux on behalf of Toyota GAZOO Racing SA, made a perfect close fight and became the leader in the overall class by achieving the second best time at the end of the 3 stages. In the 3rd stage of the thick and dense sands in Peru, the superiority of Toyota Hilux was clearly seen. Leading the leadership Al Attiyah, at the end of the stage, ın Today's stage was extremely difficult. Ap We've crossed a lot of big sand dunes, and my experience is that it's the most challenging stage I've ever seen in Dakar. After the 3rd stage, the marathon stage will be run. The marathon stage of this year is set to be the 4th and 5th stage of Dakar, where Hilux's high performance is expected to come to the fore again. The 4th Stage consists of 351 km long and generally sand and sand dunes, some rocky river beds. At the 5th stage, the teams will complete the long course of 450 km. The Dakar Rally, consisting of 10 stages, will be completed on 17 January in Lima, Peru.